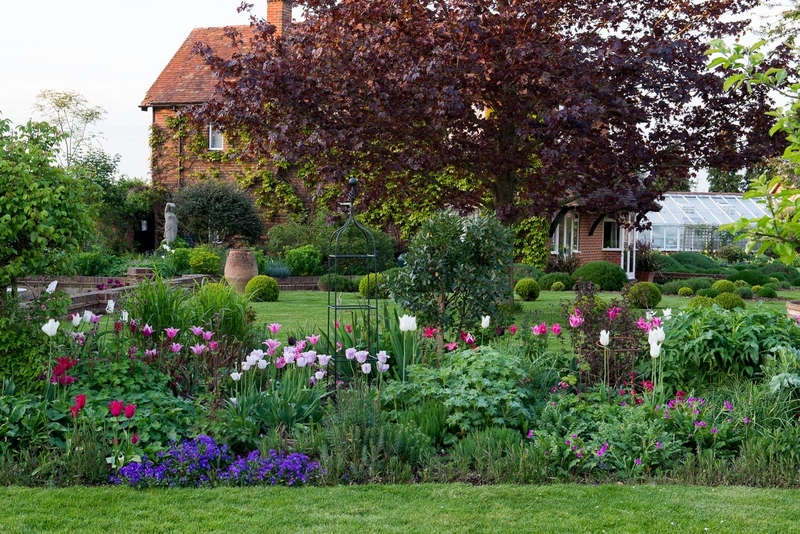 Beautiful 5 acre garden surrounding house designed with flower arranger’s eye and with colour a priority. Unusual perennials, annuals and shrubs. Tulips in spring. 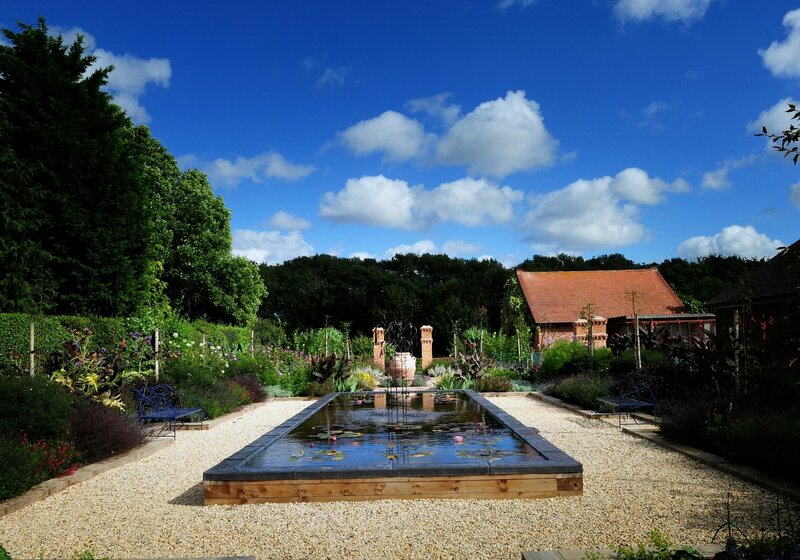 New partly walled garden, parterre, arbour, pergola, island beds, lawns and mature specimen trees plus 100yr old Kentish cobnut plat, wildflower meadows and woodland. Rock pool with waterfalls. Valley views. Plant List. Tea room. 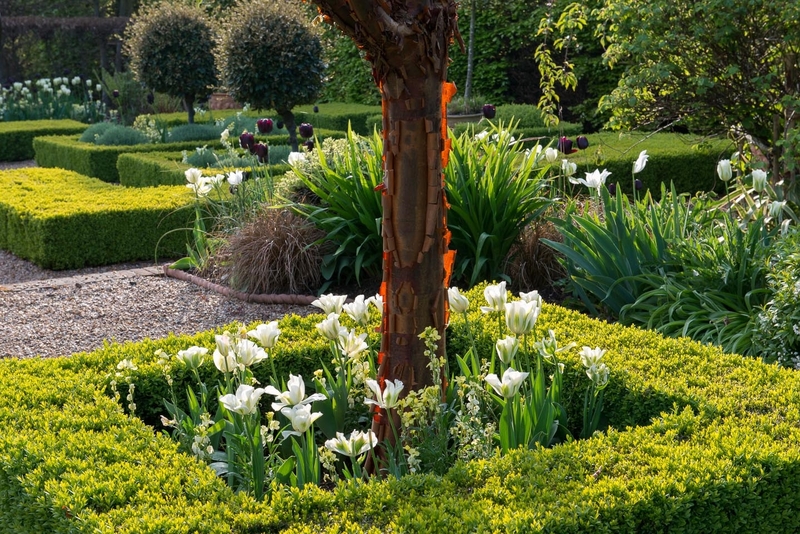 Timbers is a 5-acre garden surrounding a house built in the Arts and Craft style on what remains of a Kentish Cobnut plat. 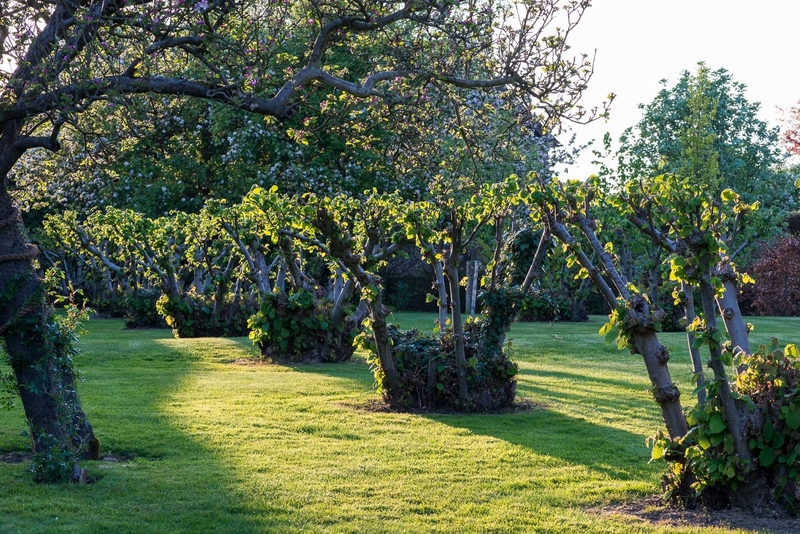 The 100 year-old trees enclose the garden, providing a good habitat for wildlife and still produce a good crop of nuts. 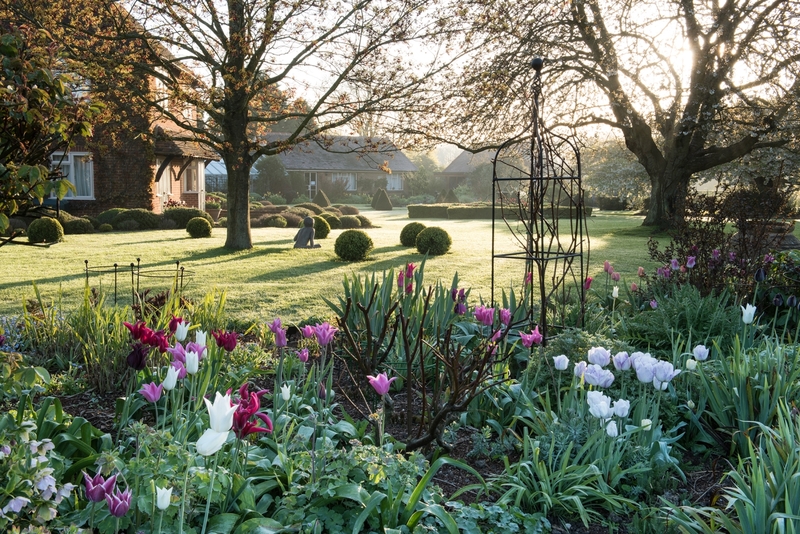 To the front of the house is a herbaceous area enclosed by yew hedging, a formal box parterre garden surrounded by stilted beech hedging and a newly designed partly walled garden running alongside the house. The island beds to the rear of the house are well stocked with bulbs, shrubs, unusual hardy plants (Sue Robinson is an active member of the Kent Branch of the Hardy Plant Society) and a succession of annuals with mature specimen trees such as Prunus Shirotae, Juglans nigra and Morus alba providing good structure. 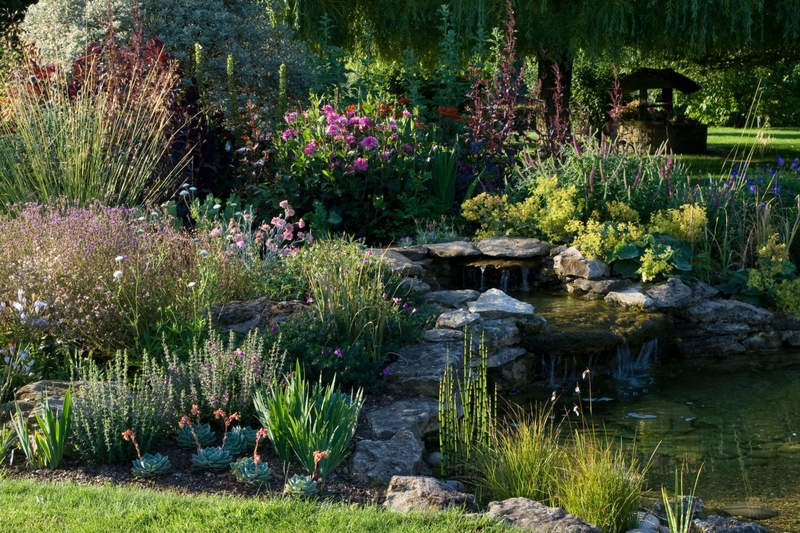 There are interesting design features in the garden with focal points and vistas used to good effect and colour coordinated plant combinations a priority. In addition there are vegetable beds, asparagus beds and productive compost heaps. 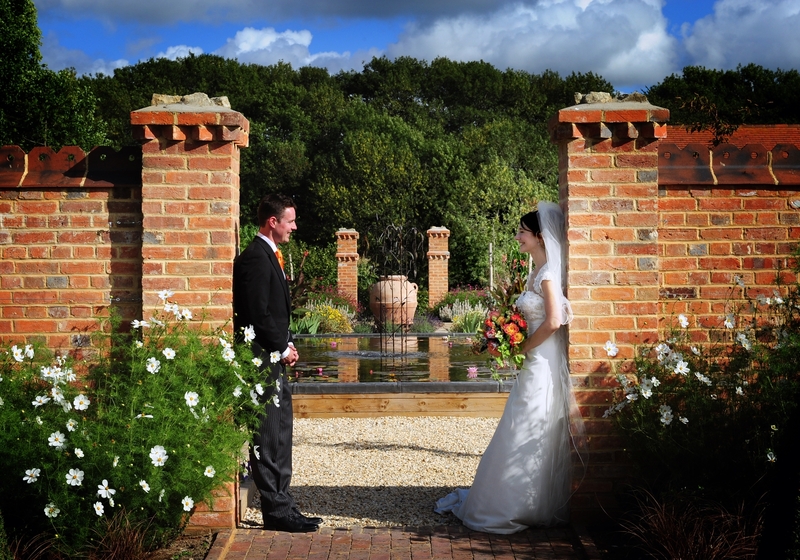 There are wildlflower meadows in the ancient Roman ragstone quarry to the rear of the cobnuts plus many of the drystone walls in the garden are constructed from stone excavated on-site together with a pond/water feature. Detailed plant list available. Tea room. 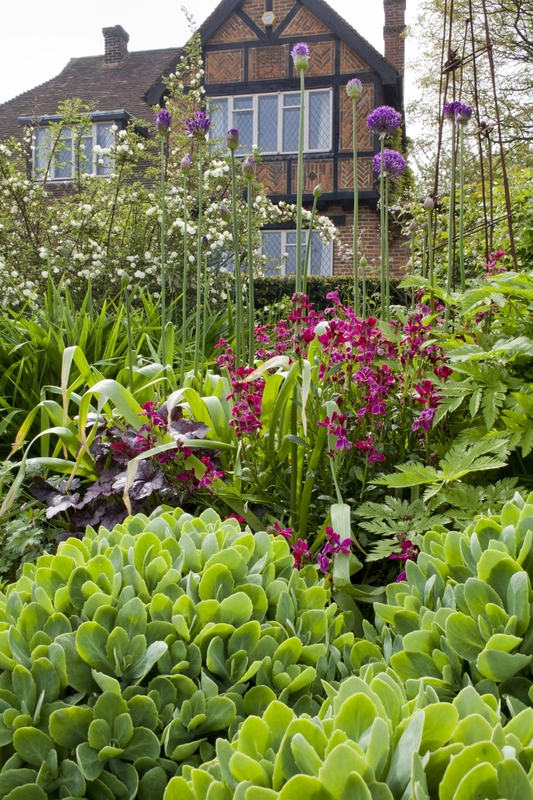 Variety of plants, colour combinations & design a priority. 2 acre meadows, 5 orchid species, cobnuts. 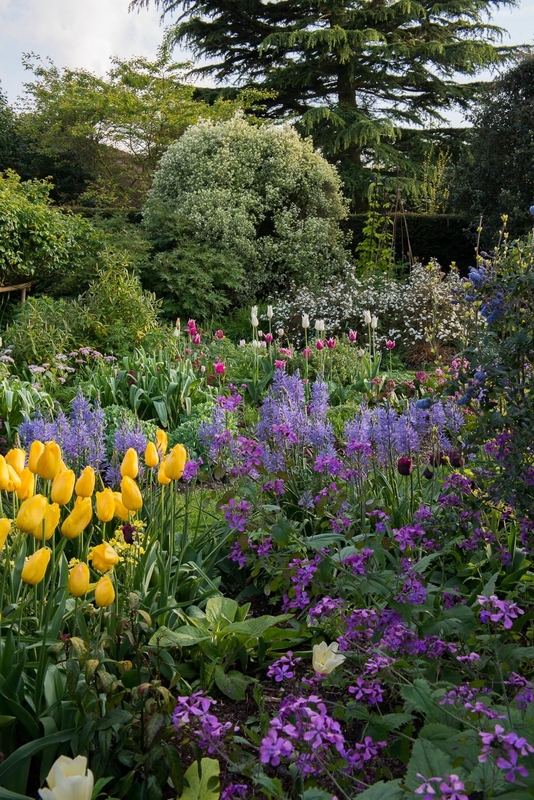 Featured as April Garden in A Year in the English Garden Magazine. From Maidstone take B2010 to East Farleigh. After Tesco's on R follow Dean St for ½m. Timbers on L behind 8ft beech hedge. Parking through gates. Most of garden is flat, some steep slopes to rear.